Metro is partnering with local schools to promote bicycle education and safety by hosting FREE Safe Routes to School (SRTS) events such as bike rides, classes, and rodeos. These activities are intended to help students, parents, and teachers/staff incorporate safe bicycling into their daily travel routines. The goal is to encourage more students and teachers/staff to walk, bike, and/or take public transit to travel to and from school. Metro aims to make the SRTS efforts flexible to accommodate a wide range of needs that schools may have. The bike rides, classes, and rodeos are free, fun, interactive, and may take place at schools throughout Los Angeles County. Learn the rules of the road and safe routes to school. Topics covered: what’s needed to bike; route planning; bike quick checks; and rules of the road. Rodeos allow students to practice bike handling skills in a safe, fun and enclosed obstacle course. A great option for Back to School or Open House events. Topics covered: bike quick checks; helmet fit; mount/dismount; start/stop; signaling and scanning. Short bike rides take students to different locations in the neighborhood around their school, giving them a chance to apply practical bike riding skills on neighborhood streets. Topics covered: route planning; bike quick checks; and rules of the road. Learn about safe walking and biking skills, as well as how to carry out Safe Routes to School (SRTS) activities, such as a walking school bus and a bike rodeo. Topics covered: bike quick checks; rules of the road; and coordinating events. Participate in a beginner community ride. Visit school(s) of interest, designate routes that may safely accommodate bicyclists, and highlight areas where there may be challenges. These rides are intended to help parents and staff plan routes and inform future SRTS activities. Interested in learning more, or hosting a bike class, ride or rodeo? Contact us! Already decided you want to participate? School coordinators may fill out a request form to host an SRTS event at your school. 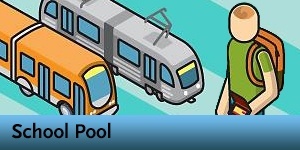 Requests must be submitted to Metro at least 6-8 weeks before the desired event day. For more information on bicycle safety classes and to stay updated on upcoming events and community rides, please visit metro.net/gobike. In recent decades, the number of students walking or biking to school has sharply declined. During the same period, an alarming upward trend of childhood obesity and physical inactivity has occurred. Students being driven to school generates substantial traffic congestion and contributes to air pollution that affects the health of everyone in our communities. Safe Routes to School (SRTS) programs are part of the solution to reversing these trends. SRTS programs aim at increasing the number of students who choose active (walking, bicycling, scooter, skateboarding) or shared (public transit, carpooling) mode of transportation to school by making it safer and more accessible to walk, bicycle and/or take transit. SRTS programs support the goal of creating a safer environment for students to walk, bicycle or take public transit to school -- but SRTS is not one-size-fits-all. What works at one school may not work at another, and SRTS relies on a menu of activities and programming that can be customized by local champions to best fit the need of schools and local community. Most SRTS efforts can be organized into the following elements, commonly referred to as the “Six E’s.” A comprehensive SRTS program will include all Six E’s in order to complement and reinforce the goals of safe, healthy and active transportation to and from school. Encouragement – Events, activities and contests that spark interest in both students and parents in walking and biking to school, reward participation, promote the personal and community benefits of SRTS, and make walking or biking to school fun. Education – Classes and activities that teach students, parents and community members safe walking and bicycling skills including safe driving behavior. In addition, programs for parents and school staff to learn about safety tips and how to develop and sustain a SRTS program. Engineering – Infrastructure improvements (signage, crosswalks, traffic signals, etc) designed to improve the safety of people walking, bicycling, and driving along school routes. Enforcement – Strategies to deter the unsafe behavior of drivers, bicyclists and pedestrians, and educate all users on obeying traffic laws and following appropriate drop-off and pick-up procedures. Evaluation – Tracking progress through regular counts, surveys, and other data collection to determine impact on student travel behavior as well as effectiveness of specific program elements. Equity – Should be integrated into all aspects of SRTS. Acknowledgement of the different challenges and barriers that students face is important to ensure that Safe Routes to School initiatives are benefiting all demographic groups. Equity, as it relates to SRTS, is about ensuring all students have safe access to and from school. Plus – Partnership plays a key role in SRTS efforts, as the programs are typically led and sustained through extensive cooperation among SRTS champions and key stakeholders, such as parents, schools and school districts, law enforcement, public health organizations, local government agencies, non-profit groups and community members. When developing and/or sustaining your SRTS programs, look for opportunities to collaborate with other ongoing efforts that share similar objectives. Such efforts may include school wellness programs, traffic fatality reduction policies, gang violence reduction, and youth development activities. Metro developed the Metro Countywide Safe Routes to School Resource Manual to provide guidance to aid schools in building and sustaining a successful SRTS program. It provides resources and program suggestions for school administrators, teachers, parents, community members, and other champions of SRTS projects and programs throughout LA County. The Manual includes fact sheets on the benefits of SRTS to help inspire action, a catalog of suggested programs and activities with step-by-step instructions, as well as sample materials and templates that SRTS champions can download, copy, and distribute. Remember that SRTS is fully customizable – everything in this Resource Manual can be tailored to fit your school’s unique needs, students and schedule. Access and download the Resource Manual . Many of the SRTS activities can be carried out by parent volunteers, student volunteers, and school staff with minimal investment. However, funding for larger project or program efforts may be necessary. Successful implementation of district-wide programs, engineering/infrastructure improvement and enforcement strategies may require more significant investment. 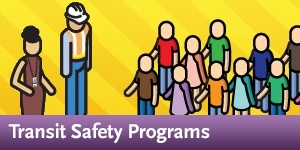 SRTS programs and activities are eligible for federal, state, regional and local funding. Please consider partnering with local agencies and community based organizations when applying for funding. Metro Countywide SRTS Resource Manual provides resources, program suggestions and step-by-step implementation guidance to aid schools in building and sustaining a successful SRTS program.